New Zealand’s North Island provides a host of examples of science, geography & international business - all on a compact travel route. Over seven days, students will be lead on a study tour giving them a world of practical examples. 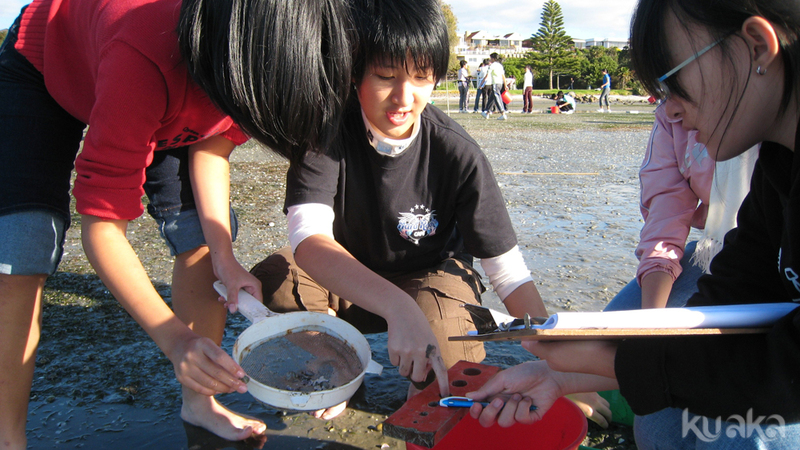 They experience hands on science & geography & how they can apply classroom knowledge to real world scenarios. Then we relate this learning to international contexts of business & cultures. Hobbiton Movie Set tour is a perfect example & is included on this program. We designed this tour to begin with the cultures of New Zealand & our position on the earth. We move on to studying the unique physical environment & ecological processes. Then to human interactions of a culture on land use, settlement, business & recreation, leading into tourism & the students own actual New Zealand experience. Finally we take time in reflection sessions to transfer their New Zealand experience into case studies applicable to South East Asia & other parts of the world. This interdisciplinary study tour is perfect for students in their middle high school years where they can see the real world applications of their knowledge. The mix of science, geography & applications to the business of food production & tourism - all hands on & experiential - forms the base of the learning. Students also gain much through exposure to our cultures & to the human features of this country - how we look after our environment, how we engage communities in environmental & social projects, how our small businesses behave like responsible citizens. To understand another culture & learn about others; how they live, how they do business, how they value the world around them. This is done through engagement with New Zealand locals, immersion with Maori people, through field studies & through lifestyle experiences.